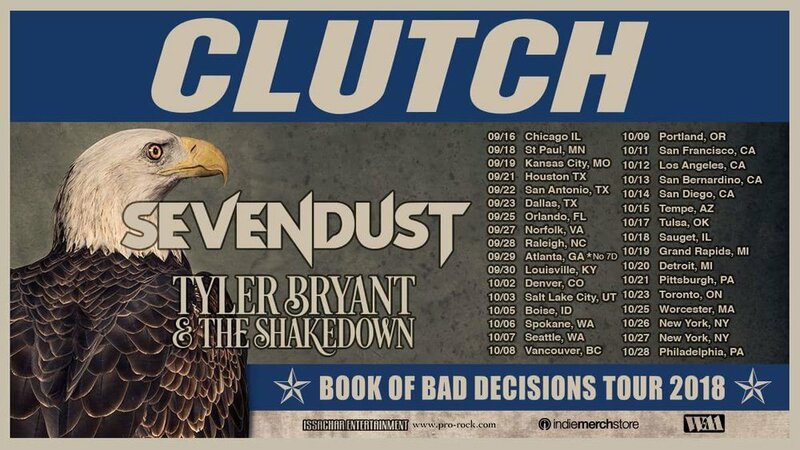 Clutch have announced a headlining tour with Sevendust. Tyler Bryant And The Shakedown will open the trek. Clutch's new album "Book Of Bad Decisions" will hit stores on September 7.